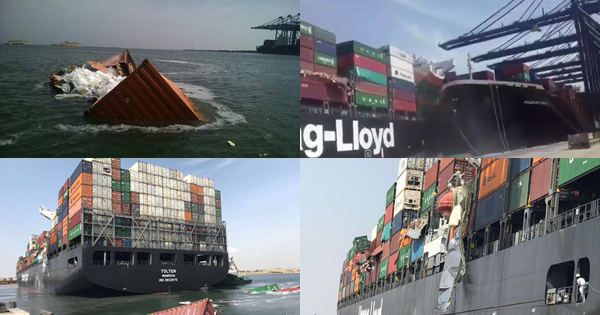 Container Ship Disaster! 10 years after Tasman Spirit! KPT’s Income ship driven by Adnan Patel hit an already docked vessel! With a number of heavy containers falling off the ship! All operations are suspended until clearance at #Pakistan's Deep Sea Port SAPTl!